It looks like Euro is going to start a new ascending structure towards the next target at 1.3570, but the price hasn’t completed the previous correction yet. That’s why the pair may form one more descending structure to reach the level of 1.3160 (at least) and only after that start forming a new ascending wave. In case of Pound, the situation is quite similar – the price is going to start a new ascending movement, but hasn’t completed the previous descending correction yet. 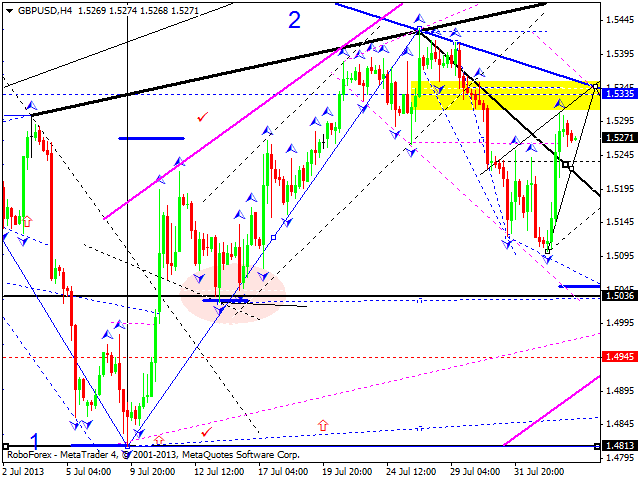 We can’t exclude a possibility that the pair may form one more descending structure to reach the level of 1.5040 and then start a new ascending wave towards the target at 1.5800. Franc is still moving inside a consolidation channel below the level of 0.9400. We think, today the price may try to grow up to reach the above-mentioned level. 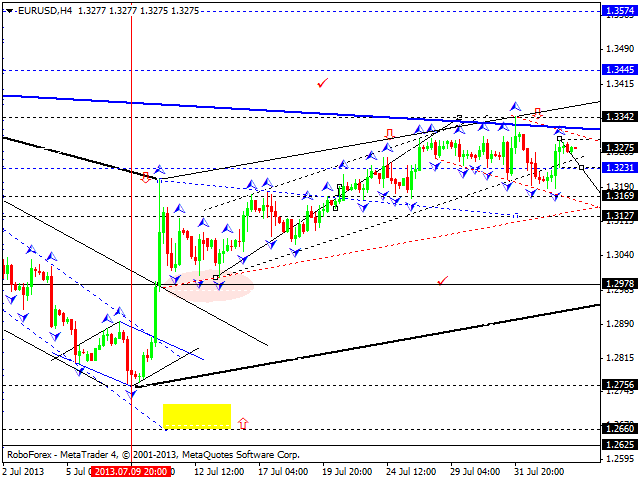 Later, in our opinion, the pair may form another descending structure towards the target at 0.9050. The USD/JPY currency pair continues forming a descending structure. 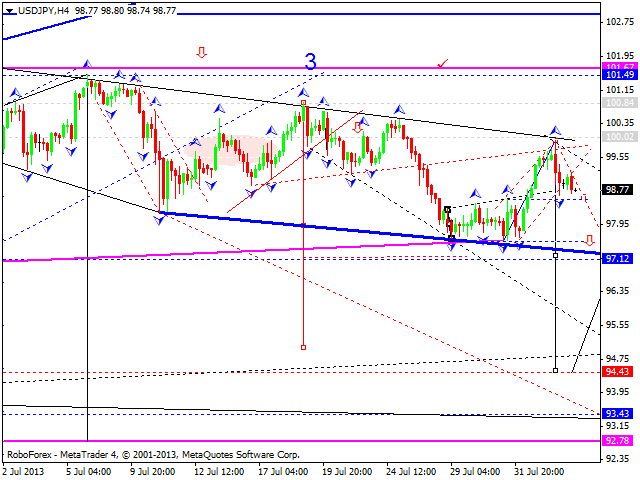 We think, today the price may move downwards to reach the target at 97.00. 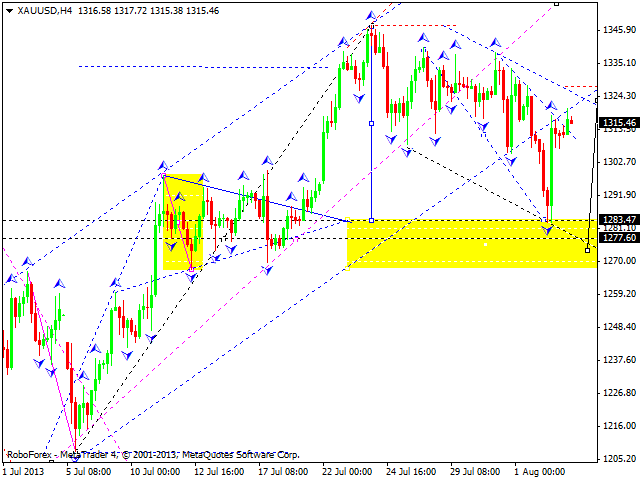 Later, in our opinion, the pair may consolidate for a while and then continue falling down towards the target at 95.00. 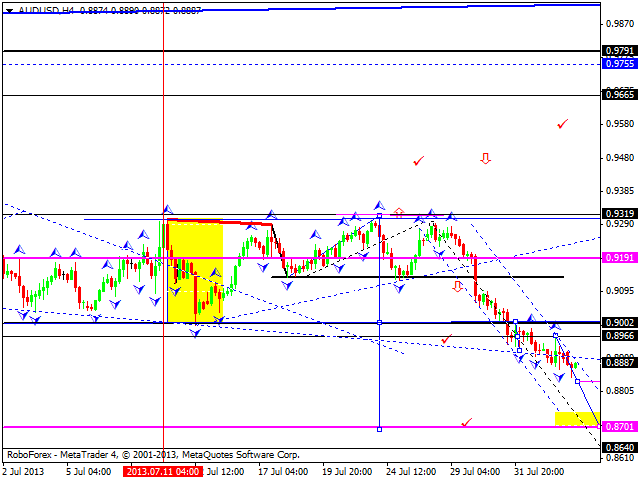 Australian Dollar is still forming the third descending wave; the market is moving below the level of 0.900. 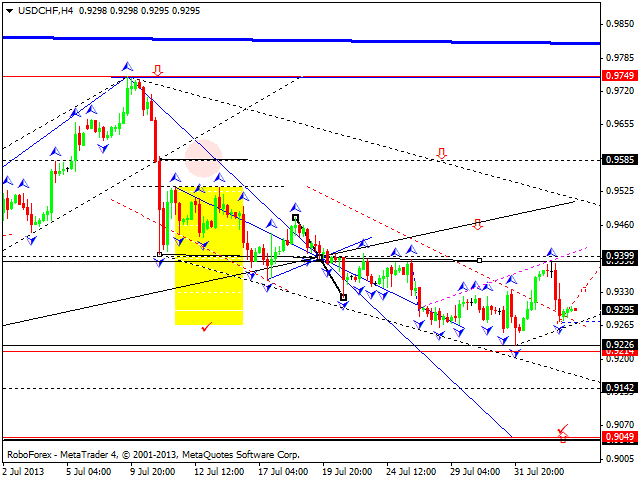 The next target is at 0.8700. We think, today the price may return to the level of 0.900 and then continue falling down towards the above-mentioned target. In case of Gold, the scenario is similar to Euro and Pound. The instrument hasn’t completed the previous correction yet, but may start a new ascending structure towards the target at 1370 quite soon. We can’t exclude a possibility that the price may form one more descending structure to reach the level of 1280 and only after that start moving upwards towards the above-mentioned target. Later, in our opinion, the price may continue falling down.